LIPP brings over 55 years of experience in the field to every project, helping to meet the most demanding safety and quality standards that will deliver profitability and reliability. Proven technologies, such as the spiral LIPP Double-Seam System and Verinox material, have been developed and proven to deliver both flexible and efficient storage systems. Tanks are erected via a construction method exclusively employed and developed by LIPP, delivering customizable tanks for any application with a volume of 10,000m3 or more. Perfectly matched to the purpose of each installation, each tank incorporates large volume with a customized interior. LIPP understands that adaptability provides solutions for various applications and requirements – so customers can even specify their own services to lower the total cost of investment. LIPP foremost engage with clients to build systems tailored towards their needs. Each tank is custom specified for each application, following a customer consultation – as construction materials, coatings and sealants differ greatly depending upon the stored media. 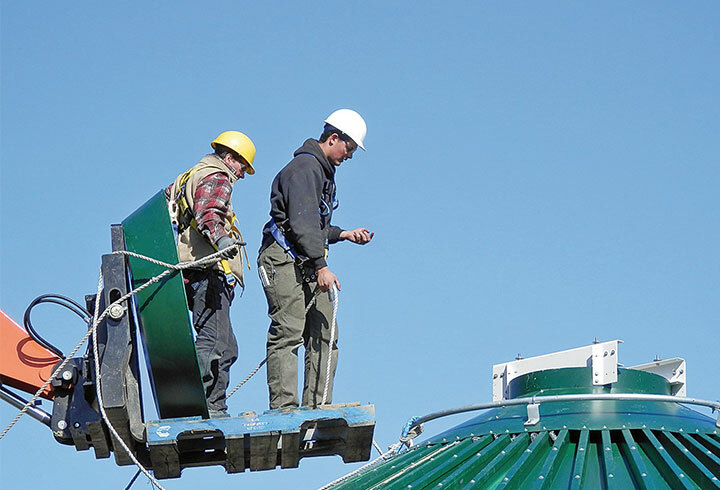 Tank integrity, stability and corrosion resistance are paramount in any LIPP installation – which is achieved through a detailed understanding and advanced construction methods. This means water, aggressive liquids, solids, gaseous media and other substrates are provided for with equal expertise. Performance models and efficiency calculations also provide the customer with an insight into the future performance of their system. In terms of materials, LIPP provides the most appropriate metallic materials solution for each application. 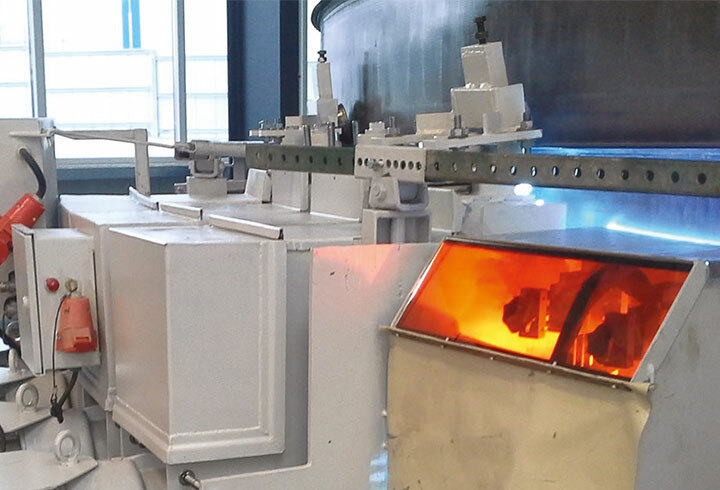 The entire spectrum is catered for; from specific purpose graded steels right up to high quality stainless steels. LIPP has developed Verinox, a duplex material of bonded stainless and galvanised steel bands, which delivers the cost effective benefits of galvanised steel with the excellent corrosion resistance of stainless steel. Such cost effective and high performance innovations for customers are the standard in LIPP service and development. 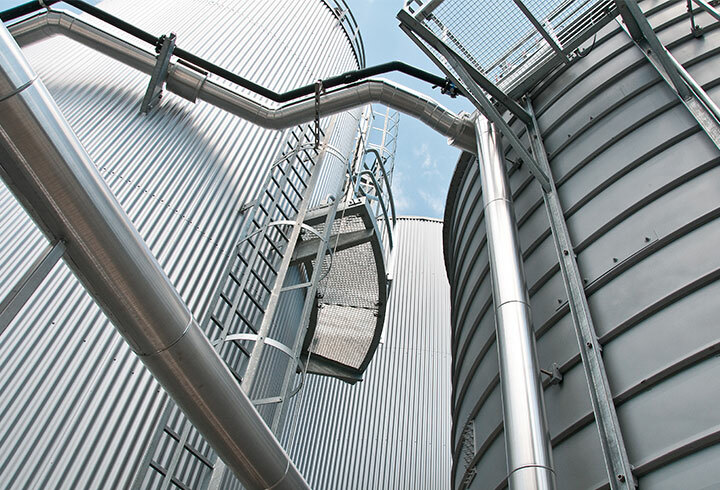 Lipp tanks benefit from the spiral LIPP Double-Seam System, Lipp’s patented tank sealing technique that guarantees total tank integrity. 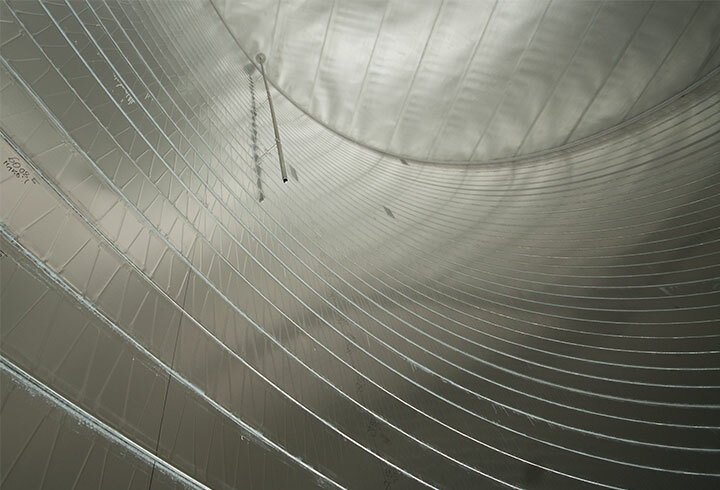 The edges of each metal sheet are folded twice over each other round the circumference of the tank in a spiral formation – with corrosive resistant sealant added in-between. This process provides a smooth, corrosion resistant internal surface that facilitates excellent tank integrity– even for aggressive media. Tested in over 80 different countries with tens of thousands of units worldwide, this system represents the quality standard for all Lipp tank systems. LIPP welded tanks are erected using the LIPP Welding-Technology, a unique method of construction enabled by a custom automated rig designed and manufactured by LIPP. 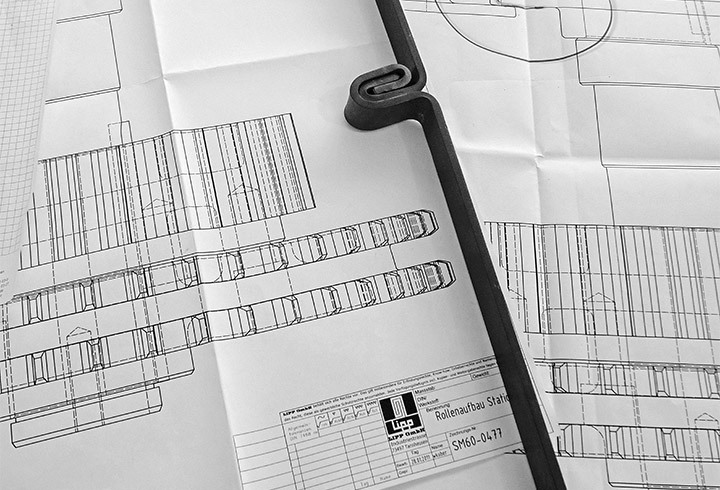 This procedure can claim a number of advantages over other traditional welding methods. Firstly, the unique steel profile increases stability and so reduces material costs at the same time. Secondly, the automated endless tape process continually welds layers below in a rotational cycle and reduces the number of on-site workers. LIPP Welding-Technology enables welding both black steel and stainless steel of different grades, allowing numerous applications. 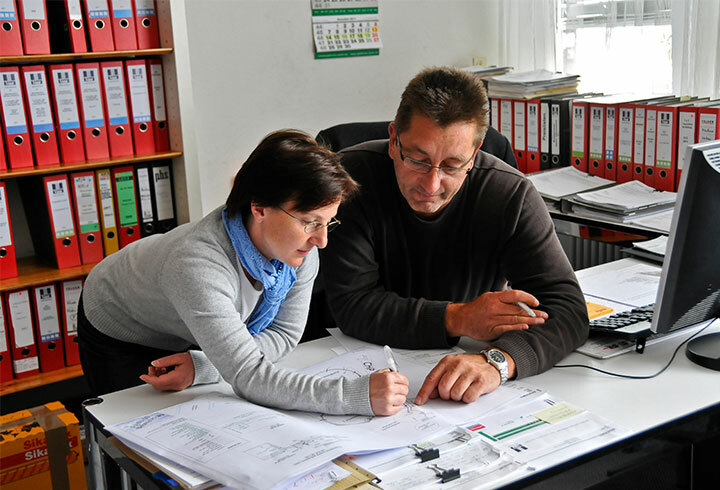 LIPP aims to increase construction efficiency through the implementation of unique techniques and technology, ultimately benefiting customers via a cost-effective system. The key facets for the construction of a LIPP storage system are automation, continuously variable tank dimensions, reduced space requirements for onsite construction and increased worker safety. Tanks can be quickly erected – while a special circumferential thread brings additional stability to the tank, which ensures the unit does not require any additional support. Safety is further safeguarded through the ‘ground up’ building approach; ensuring work at high elevation is reduced to an absolute minimum. This method conserves space onsite, speeds up construction, requires fewer workers and boasts unrivalled safety benefits. LIPP construction and design is tailored to lowering installation cost, time and boosting safety for end users. LIPP also provides high quality fittings and custom features for tanking systems. 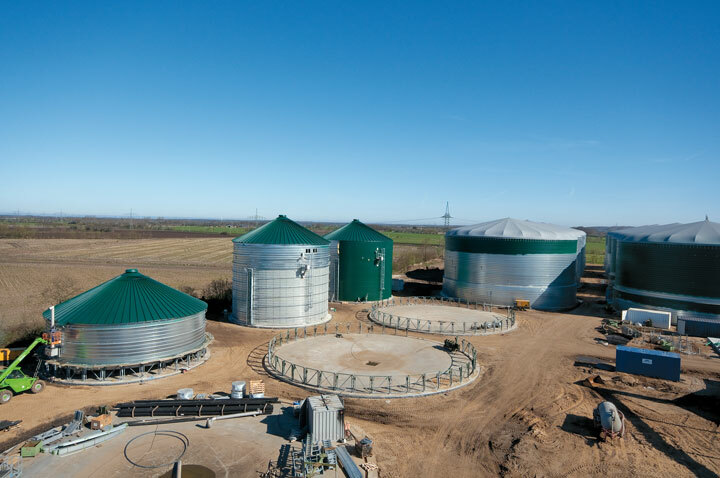 For anaerobic digestion, LIPP offer explosion resistant roofing solutions, pressure protection devices plus internal mixing and pumping technology to ensure maximum safety and yield. Durable metal work and piping can also be supplied, along with the expertise from LIPP technicians to ensure their optimum incorporation into a client’s system. Furthermore, customers have access to container bottoms, insulation, overflow gutters, steps, platforms and operating bridges. The whole is more than the sum of its parts, and with LIPP’s focus on impermeability no matter the construction material, end users can reap the benefits of high quality accessories to enable their complete custom system.